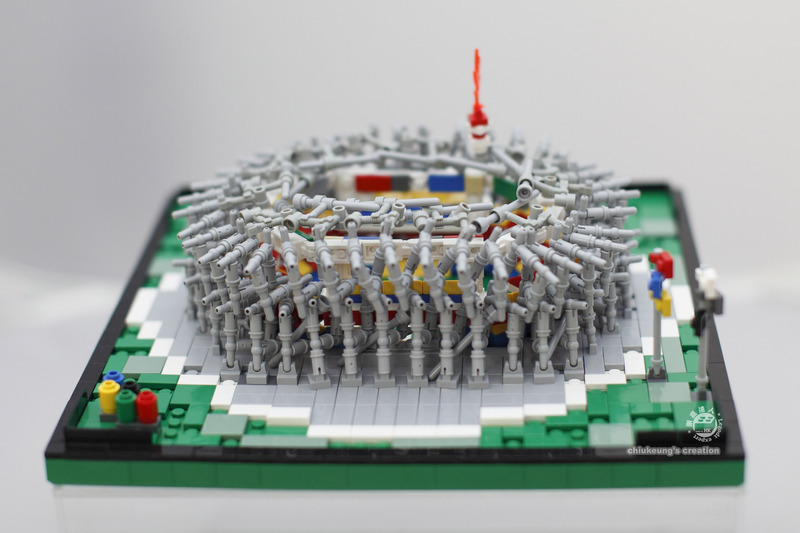 Yiu Keung built a microscale version of the Beijing National Stadium, more commonly known as the Bird’s Nest, using mostly t-pipes and Technic half pins. What a mind-boggling build! And don’t miss our behind-the-scenes coverage of the minifig-scale LEGO Sport City that Yiu Keung and HKLUG built last summer for the Beijing Olympics. Excellent use of these peices. I absolutely love it. Must have been a pain to build, though. Wow. This is simply awesome.